Our puppies are sold with Full Registration with potential to be Companions, Show Dogs, Breeding or Working dogs.man Sheperd, German Sheppard. No matter how you spell it, you will love our puppy! 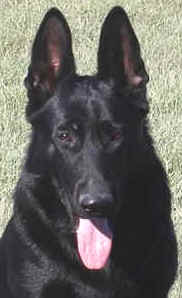 Next ALL BLACK litter due 4-20-19, ready MID June! This is a repeat breeding! Join the Waiting List!